We are learning that properly supporting our internal endocannabinoid system (ECS) is a powerful way to positively impact health on a deep cellular level. Because of this, researchers and clinicians have been on a mission searching for ways to effectively and consistently support the ECS. As it turns out, exercise is a great way to do this. But here is the most interesting aspect of exercise and the ECS: the ECS is actually a built-in reward system! Physical activity enhances the ECS and the ECS in return rewards that behavior by stimulating feel-good chemicals in the brain, which causes us to want to repeat the behavior. We’ve all heard about the “runner’s high” even if we are not runners. Well it’s not surprising that the ECS is strongly linked to that runner’s high feeling. The runner’s high is when endorphins and other powerful molecules are released from the brain when we exercise. And it doesn’t just happen when we run. Many exercisers report that they feel energized and joyful after a good work out. 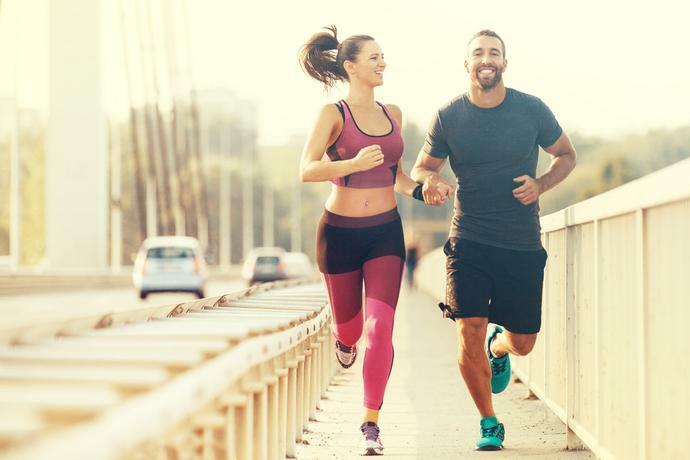 In fact, many studies have shown that people who are more active have reduced depression and anxiety and report feeling happier than people who do not exercise. Researchers have found that exercise increases the sensitivity of cannabinoid receptors in the part of the brain that activates pleasure. So, when we exercise, we enhance the ECS, which then returns the favor. In this way, the ECS is really set up to reward exercisers. The fact is, the more we exercise, the more the ECS is stimulated to pump out those positive feel-good chemicals, which causes us to want to exercise again. This creates an incredibly important health-promoting cycle. Exercise has such a wide variety of health benefits—everything from heart, brain, bone, mood, and more—it’s no wonder it also helps enhance the ECS! So if you are looking for ways to support this internal complex healing system, the best way is to get moving. And once you do, the ECS will reward you so you are sure to do it all over again! Take a peek at our multi-award winning line of products that go BEYOND CBD for the most comprehensive support of your Endocannabinoid System on the market today!